Goldwell Kerasilk Rich Keratin Care Conditioning Spray is a nourishing conditioning spray formulated to smooth and soften frizzy and unruly hair. It contains a blend of keratin and silk proteins to reduce volume and frizz while providing long-lasting conditioning and lustrous shine. Goldwell Kerasilk Rich Keratin Care Daily Mask is a hair mask formulated to smooth and soften frizzy and unruly hair. It contains a blend of keratin and silk proteins to reduce volume and frizz while providing long-lasting conditioning and lustrous shine. Goldwell Kerasilk is formulated to for dry, damaged hair. It contains silk proteins and care lipids to moisturise and protect the hair from daily stresses. Smoothes the hair to leave it shiny and soft. Goldwell Kerasilk Instant Silk Fluid is for all hair types. This leave-in treatment revives dry, damaged, dehydrated and frizzy hair, creating shine and manageability. Contains silk proteins, care lipids, Jojoba Oil and Panthenol, to restructure the hair and tame frizz, for a silky smooth finish. Ideal for extremely dry, damaged, chemically relaxed or over-processed hair. The moisturising care formula with Silk Proteins, Care Lipids and pure Jojoba Oil, leaves the hair instantly smooth, shiny and soft. Goldwell Kerasilk Deep Smoothing Mask is a short-term keratin treatment. The mask features Kerashape technology with glyoxylic acid to create new keratin bonds and reduce curl, volume and frizz. It seals cuticles, making hair more manageable and resistant to humidity. The treatment leaves hair super smooth and shiny, as well as easier to style. Goldwell Kerasilk Ultra Rich Keratin Care Daily Mask is an ultra-nourishing hair mask formulated to smooth and soften extremely frizzy and unruly hair. It contains a blend of keratin and silk proteins to reduce volume and frizz while providing long-lasting conditioning and lustrous shine. Goldwell Kerasilk Ultra Rich Keratin Care Oil is a nourishing hair oil formulated to smooth and soften frizzy and unruly hair. It contains a blend of keratin and silk proteins to reduce volume and frizz while providing long-lasting conditioning and lustrous shine. This versatile oil treatment with regenerating argan and precious tamanu oil. Specially developed for all hair types. Its highly effective ingredients are instantly absorbed to provide hair with outstanding shine and a silky-soft feel- without weighing it down. For luxuriously conditioned, healthy, shiny and frizz-free hair. Goldwell Kerasilk Instant Silk Fluid – Leave in treatment that revives dry dull hair and creates shine and manageability. Highly concentrated moisture formula for all hair types. Unsurpassed frizz control. Variation of amount used leads to multiple effects from instant shine, care for split ends. Kerasilk Instant Silk Fluid contains Silk Protein, Wheat Bran Lipids and Jojoba Oil for instant smoothness and restructuring. Goldwell Kerasilk Instant Silk Fluid is enhanced with Vitamin E to protect hair from external damage. Goldwell Kerasilk Rich Care Shampoo – Perfect for damaged, dry, porous or curly hair. Hair is left smooth, shiny and as soft as silk. Kerasilk Rich Care Shampoo is formulated with natural silk proteins and wheat bran lipids. Goldwell Kerasilk Rich Care Treatment – Rinse off treatment offering unsurpassed conditioning, strengthening and protection from future stress. Perfect for damaged, dry, porous or curly hair . Hair is left smooth, shiny and as soft as silk. Kerasilk Rich Care Treatment is formulated with natural silk proteins and wheat bran lipids. Goldwell Kerasilk Ultra Rich Shampoo – Ideal for extremely dry, damaged, chemically relaxed or over-processed hair. Hair is left instantly smooth, shiny and as soft as silk. Featuring Jojoba Oil for extra moisturizing. Kerasilk Ultra Rich Shampoo offers the highest care level in Goldwell’s portfolio. Goldwell Kerasilk Ultra Rich Treatment – Rinse off treatment offering deep intense conditioning that rebalances the hair’s structure, making it sleek, easy to comb and soft as silk. Kerasilk Ultra Rich Treatment is ideal for extremely dry, damaged, chemically relaxed or over-processed hair. Hair is left instantly smooth, shiny and as soft as silk. Featuring Jojoba Oil for extra moisturizing. Highest care level in Goldwell’s portfolio. Goldwell Kerasilk Anti-Frizz Serum – Offers the perfect solution for eliminating frizz and fly-aways in all levels of dry, damaged or unmanageable hair. • Tames extremely dry, damaged or unmanageable hair, even in high humidity. • Provides shine and silky smoothness. • Eliminates frizz and fly-aways. • Provides heat protection while using a flat iron, curling iron or blow-dryer. Goldwell Kerasilk Anti-Frizz Serum contains approximately 40 applications. Platinum blonde is a fairly universal term. No matter how you slice it, its pure icy whiteness. White hot platinum happens to be my absolute favorite shade. If I had the time, money and dedication, I’d go platinum in a New York minute and never look back, living gleefully in my colorist’s chair every 4 weeks for touchups! 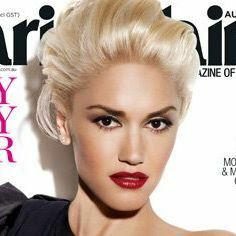 Bright blonde is a step down from platinum, but is not quite golden blonde, being a mixture of buttery and white tones. Bright blonde is an extremely popular shade, perhaps because it reminds natural blondes of what they looked like as kids. Champagne blonde is a lighter shade of blonde, but has cool rather than warm tones. Champagne is a very natural look, and doesn’t require quite as much maintenance as bright blonde. 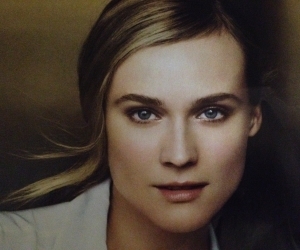 Ash blonde has gray or silvery undertones. In my opinion, this isn’t usually a great shade on anyone over 30 because of the aging effect it can have and its somewhat dull appearance. I wouldn’t call it popular – in fact, I had trouble finding good examples for this shade! Often overlooked in the blonde category, strawberry blonde is, contrary to its name, not really red at all. 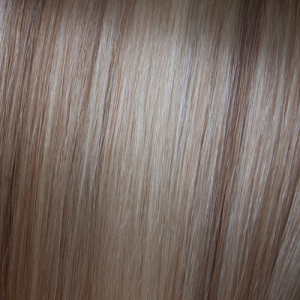 Like golden blonde, strawberry blonde is a rich shade with many different undertones. Sometimes referred to as “mouse” or “dishwater,” dirty blonde is a common base color of many natural blondes when they become adults and lose the brightness of childhood blonde. 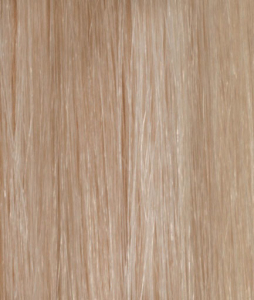 Caramel blonde is a very deep, lustrous shade of blonde that is absolutely gorgeous. Typically, caramel is highly achievable for those with darker hair, so it can be a great test for those who want to go lighter, but don’t want to depart too far from their natural base. Dark blonde is an elusive term. Some people might actually consider a dirty blonde and a dark blonde to be the same thing. 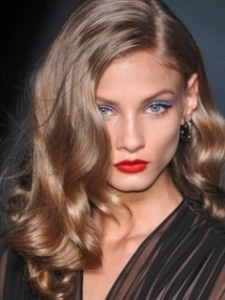 Others might consider a brunette with sun streaked hair to be a dark blonde. Here are a few pictures of what comes to my mind when I think of dark blonde. ( Dark hair that gradually gets lighter as you progress towards the tip. ) has also become particularly popular in the past few years, and is another great way for those with a dark base to incorporate blonde tones. When someone says golden blonde, most people immediately think of the quintessential, sun-kissed, beachy look. 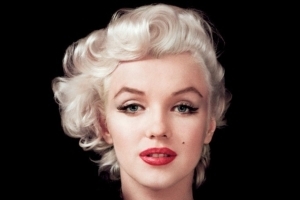 Like bright blonde, golden blonde is an extremely popular shade, but produces richer, deeper tones.